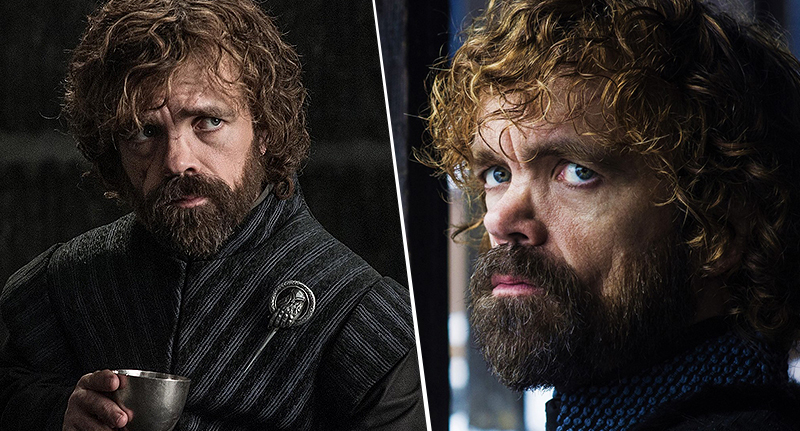 Peter Dinklage has played Tyrion Lannister for eight years on the set of this crazy Game of Thrones. It’s only natural, then, he’d have spent at least a little time wondering what the future looks like for the youngest child of Lord Tywin Lannister and younger brother of incestuous Cersei and Jaime. … Or whether there’d be a future at all in this world in which the phrase ‘Valar Morghulis’ rules the nightmares of everyone, from Lord to Wildling. From the Red Wedding to one too many flayings, death has become a mainstay in Westeros since episode one. After this emotional beating, everyone wants to know who will make it out of season eight alive, left to sit on the most uncomfortable chair on telly. We’ve heard from members of the cast and crew – including Liam Cunningham of Onion Knight fame – and now Dinklage has weighed in. This is the first time ever that I didn’t skip to the end. Why? I was probably terrified. We all feel we’re the leads of our own show. As the seasons have gone on, we’ve all thought how it’s going to end. Who’s going to be alive? If you die, how do you die? Ten years we’ve been doing this and it can drive you mad, because [showrunners David Benioff and Dan Weiss] don’t tell us and sometimes they change their mind. I had all these ideas in my head and a version of one of them is how it ends up. David and Dan have a brilliant version of what I had. If I use any adjectives it will give it away. But I love how it ended up. And how it ends up for everybody. They had a beautiful gentle touch with some and a hard touch with others. We’re so used to the standard formula of bad guys dying and good guys living…What David and Dan have done with all this is beautiful, painful, and lovely. He concluded by saying the finale ‘takes the show somewhere that’s dangerous and contemporary with what’s going on in the world’.